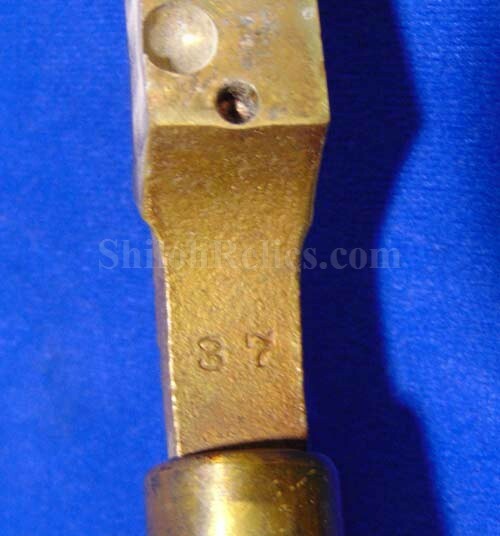 There is a great looking original bullet mold from the the Frankford Arsenal. 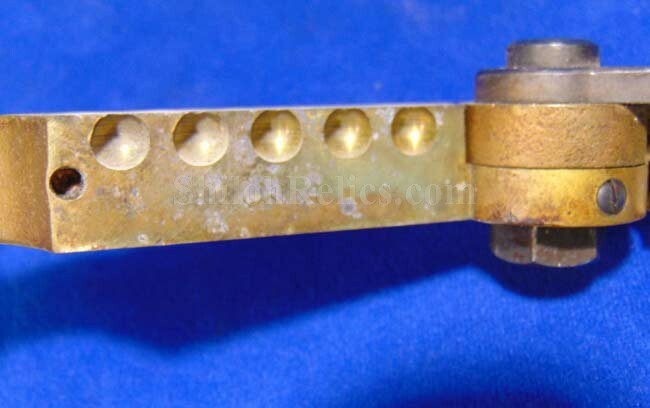 This mold has the body that is made out of a thick piece of brass. 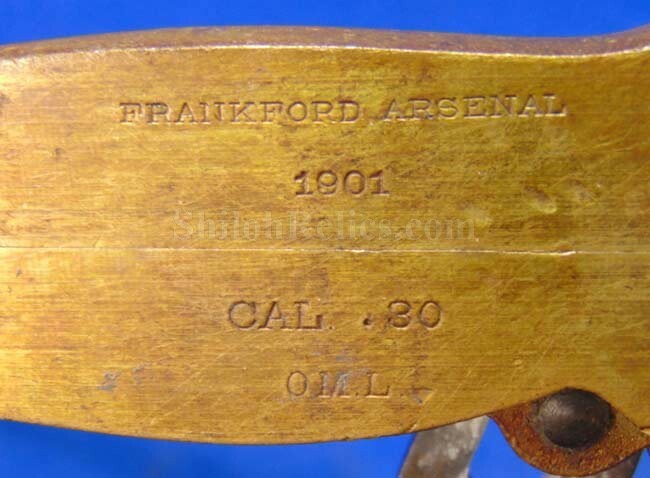 On the bottom it has the stamping that still clearly reads "FRANKFORD ARSENAL 1901 CAL .30 O.M.L." 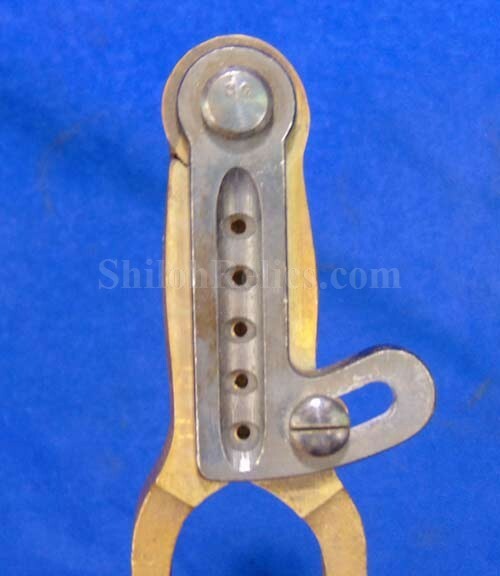 this lets us know that it was designed to make bullets for a 30 caliber military rifle. The initials at the end are for the government inspector. 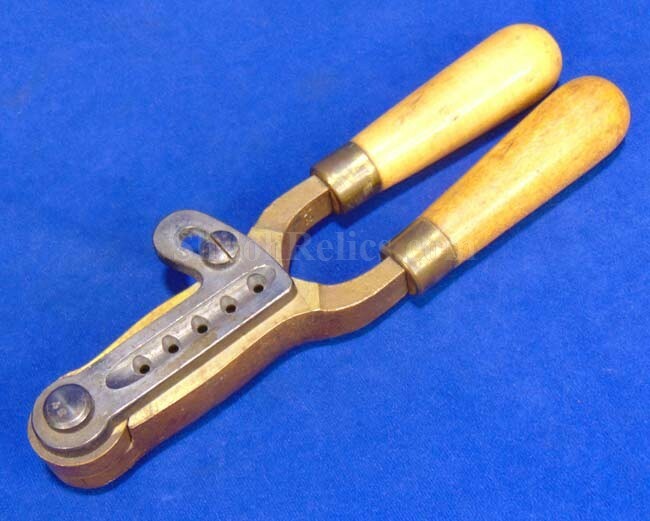 On the top of the mold it has the original iron sprue cutter intact. 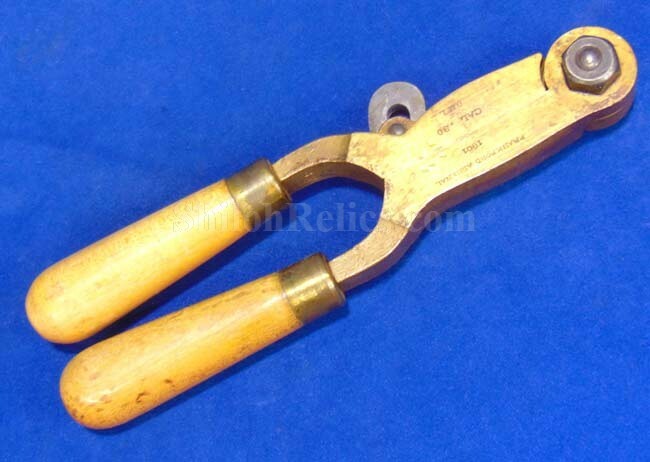 The original wooden handles are intact with a nice ancient look all over. When you open the mold you see that this one cast 5 bullets in the 30 caliber size. This is a wonderful bullet mold from the Frankford Arsenal.